With well over 500 million users, Facebook.com has become a primary source for businesses to market their products and services, or get instant feedback with their customers. 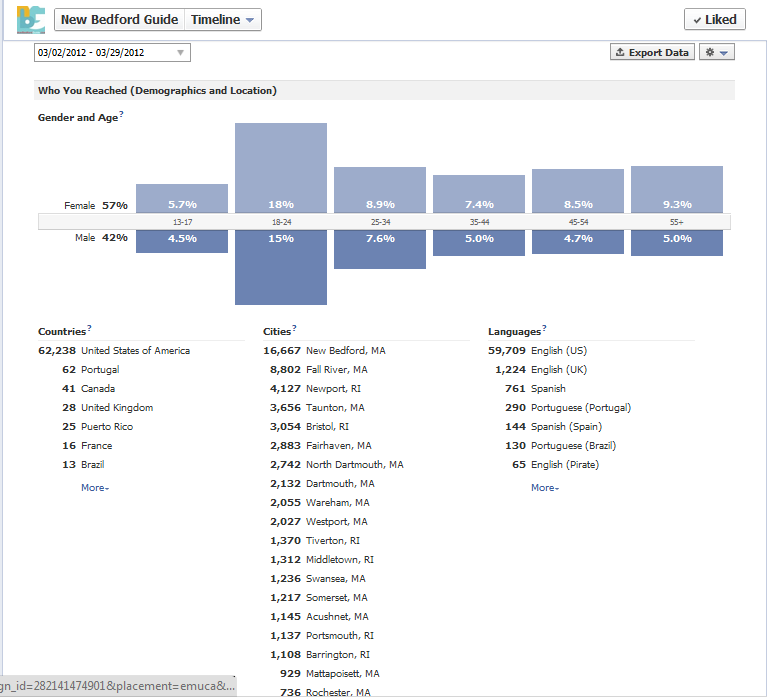 Our New Bedford Guide fan page has quickly become the most popular and active New Bedford page on Facebook. We offer a way to promote your business to thousands of New Bedford residents through our Facebook fan page. 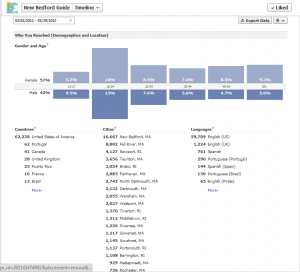 Our Facebook page reaches over 60,000 Southeastern, Massachusetts residents. See image for full details on our statistics and demographics. Contact info@newbedfordguide.com for more details!